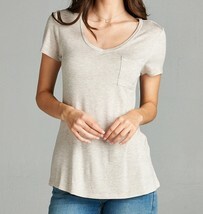 Though a relaxed fit, this top can easily be dressed up or down. Pair it with denim jeans or your favorite skirt. 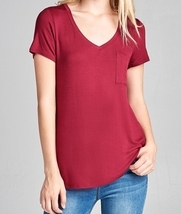 This top features a round hem, scoop neckline and flutter sleeves. f you have any questions please feel free to contact me! I'm always eager to help (or just talk about the wonderful world of fashion!